I was living in Korea at the time, training in the MVP team house, when Proleague’s sudden end meant I was suddenly looking for a place to live. Luckily for me, Scarlett, who I had met at Kings of the North a few years earlier, was also in Korea and looking for a roommate. We both knew from experience just how difficult it is to train in Korea. I had only been able to sustain it because of some rather unique connections. We got our first housemate later that year. I’d known Neeb for awhile at that point, but we’d never been close until he took the plunge and moved in. Adjusting to a new country is always a challenge, but Neeb didn’t take long to make history. He really legitimized our budding team house when he won the KeSPA Cup and became the first foreigner to win a StarCraft II tournament on Korean soil. Project Unity, which is what we were calling the house, was really small in those days, but an achievement of that magnitude really legitimized our efforts. From then on we were on the fast track. Things just kept getting bigger and bigger. Of course, I originally came to Korea because I dreamed of playing in GSL myself. Like so many others, I’d grown up on a steady diet of Code A and Code S, with players like Dark and TRUE influencing me greatly and ultimately playing a large part in my decision to come to Korea. I knew I wasn’t as good as them when I initially made the journey, but I would have been satisfied just taking part in a qualifier. I didn’t even win a single game the first time I tried to qualify, but I made it through a season later after getting a little luckier with the brackets. 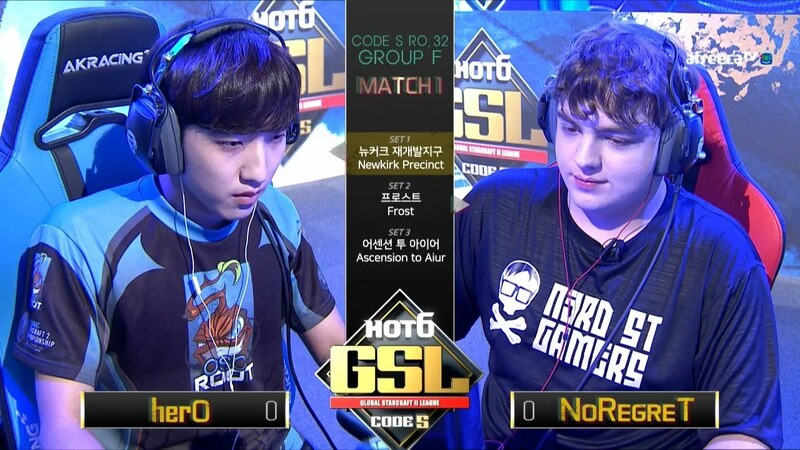 Impact isn’t a bad player by any means, but there isn’t a Korean Zerg I’d rather play with a Code S spot on the line. We both play aggressively which leads to the type of games in which I’m most comfortable. I may have gotten crushed by INnoVation earlier in the day, but the fact that I took down Impact in the all-important final match meant my dream of playing in GSL had become reality. Code S turned out to be a complete disaster. Sure, the experience of playing on that stage was amazing and unforgettable, but god was it cutthroat. I had to play against both Dark and herO, both of whom are amongst the best in the world. I practiced 12 hours a day leading up to my group, but there’s no way to simulate playing against players of that calibre in a tournament setting. All my carefully prepared strategies instantly fell apart. Simply put, I got destroyed. I managed to make Code S a second time, but, while I actually won a match this time around, by then, I’d already started transitioning from pro player to the house’s de facto manager and coach. I’d gone from grinding games to producing content on Twitch, coaching other players in the house and assisting people who wanted to join up with us, as well as making life easier for those I was living with. While I’d been dabbling in coaching for a while, 2018 was the first year in which I fully settled into the role. I worked heavily with Scarlett over the course of the year. I’ve never had very good mechanics, but when we applied my unique perspective on StarCraft II, gleaned from years of unorthodox, aggressive play, to her already substantial repertoire, it paid off big time. We came up with strategies which aimed to inflict early damage she could leverage into advantageous positions once things settled down. I’d need to win on the spot with those types of openings, but she was gifted enough to turn six workers kills into an insurmountable lead. We also worked extensively on zergling drops, a ploy which would play a critical role in her victory at IEM PyeongChang. 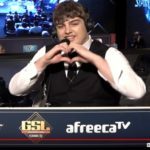 When the time came to prepare for her Round of 8 match against soO in GSL a few weeks later, we spent hours pouring over VODs trying to figure out how he reacted in every possible scenario. It was awesome helping her reach those heights and accomplish things few foreigners had ever done before. Neeb made another historic run later that year, becoming the first foreigner to make the Round of 4 in Code S since Jinro in 2011. I was really hands-on when it came to working with Scarlett, but this time I took a more reserved role. Neeb’s far more knowledgeable about Protoss than I could ever be, so I focused on ensuring he had good practice partners. Funnily enough, he ended up playing one of them in the semifinals. Neeb and TY’s familiarity with one another made it a super close series, full of mind games. TY’s one of the best in the world, but Neeb was right with him even though he lost in the end. Our accomplishments over the course of the year may not have felt as impactful as Neeb’s KeSPA Cup victory two years ago, but the way we continue rewriting the record books is still really special. When Project Unity started I thought it would just be Scarlett, SpeCial, Neeb and myself, but the house just keeps growing and growing. We had players from 20 different countries staying here last year with as many as 16 people living in the house at once. All the while I’ve played the part of manager, coach, and even done the grunt work like building PCs for everyone who stays here. 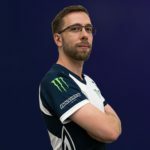 We recently partnered with ROOT so we can continue the mission Scarlett and I first started out with two years ago; giving foreign pros a home here in Korea. When I first joined the MVP house all I could think about was playing in GSL. I managed to realize that dream, but that’s not the part of my time in Korea I’m most proud of. Being a Code S player is really special, but helping all these incredible people accomplish their dreams has been even sweeter. 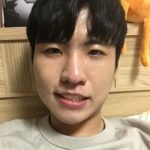 StarCraft 2 GSL Player & Caster, House manager for the Korean team house.